Brian Gimmillaro is the only coach in the United States that has won the National Championship on the collegiate, club, and high school levels. He was the first head coach to have finalists at both the indoor and beach college championships. In his 41 years of coaching at college and high school (won 4 titles at Gahr), Brian amassed 985 career victories (835 at Long Beach) winning over 80% of his matches. In 32 years at Long Beach State, Brian won three NCAA titles, including having the first undefeated team in Division I history (2017 SCIVBHOF honoree Misty May-Treanor was his setter), plus participated in eight Volley Fours. Six times his players were named NCAA Player of the Year with 27 players claiming 49 All-American awards, 48 of his players competing internationally and 16 times his players were named to the US Olympic teams. Brian received several coaching honors including being named the Big West Coach of the Year (he won 13 league titles), the NCAA Coach of the Year, ‘Volleyball Magazine’ Coach of the Year, the US Olympic Committee Coach of the Year, and USA ‘All-time Great Coach’ award. 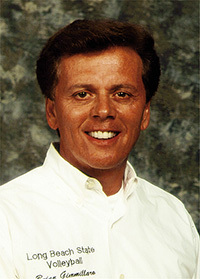 In 2008 he was inducted into the AVCA Hall of Fame. In 2016 he was awarded the Distinguished Alumni at Long Beach State Universiy.